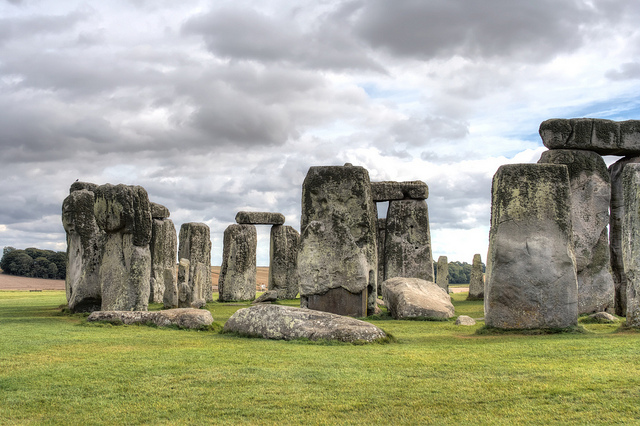 A massive experiment in virtual archeology has led to the mapping of 3,000 acres around Stonehenge, and with it the discovery of a host of new information about the area, including over a dozen previously unknown monuments, National Geographic reported. 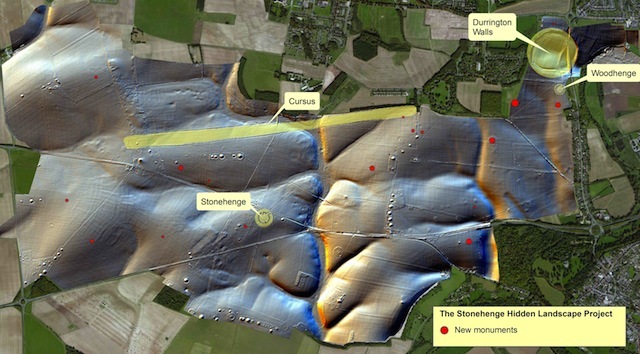 The Stonehenge Hidden Landscape Project, led by researchers at the University of Birmingham and the Ludwig Boltzmann Institute in Austria, has spent four years using an array of technology — aerial photography, laser scanning, airborne imaging spectroscopy, magnetic prospection, ground-penetrating radar, electromagnetic induction, and more — to uncover the landscape around Stonehenge without actually unearthing it. The small circular constructions, contemporaneous with Stonehenge’s busiest period, are placed around the main stone ring and form a sort of Neolithic analogue to the Via Dolorosa, held to be the path Jesus walked to crucifixion, [lead scientist Vince] Gaffney suggests. “What we could be witnessing here is the birth of the idea of ceremonial procession, or a liturgy,” he says. The Stonehenge Hidden Landscape Project is apparently as the largest project of its kind, and obviously one with big implications, both for the study of Stonehenge itself and for the field of archeology. 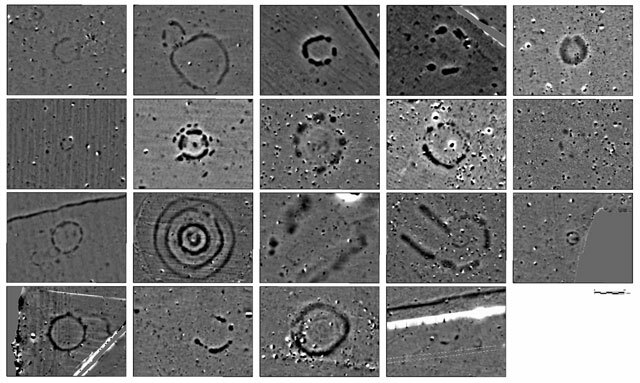 It’s worth noting, though, that sometimes a lack of technology can lead to discoveries too: just last week, it was reported that Stonehenge’s custodians might have solved the mystery of the monument’s shape thanks a hosepipe that ran too short.